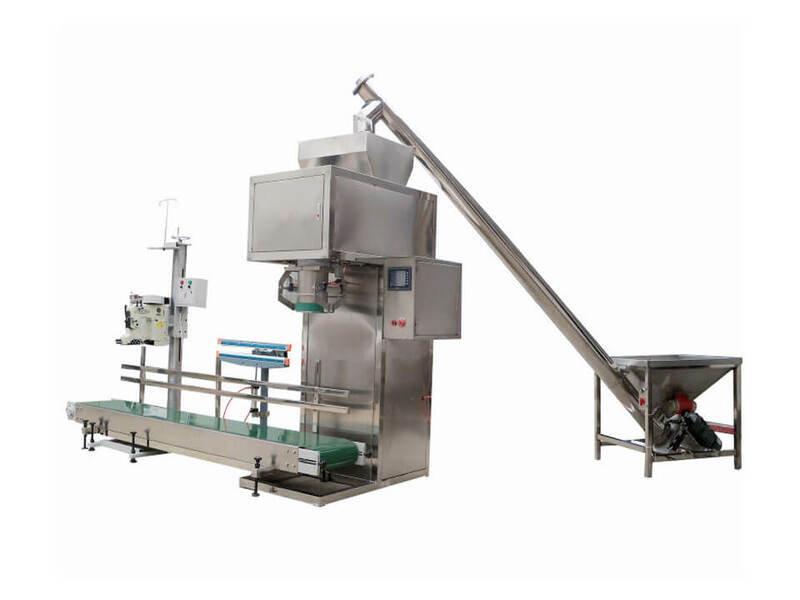 The granule food bagging unit is a kind of intelligent packing equipment specially developed for packing granule food products and irregular foods. 1.The host machine adopts speed pneumatic gate valve to realize feeding; advanced technology of digital frequency conversion, sample processing and anti-interference help automatic compensation and correction for error in quantitative packing. 2.Infrared sensor and gate discharging make it energy saving. 3.Independent suspension sensor has stable signal transmission to make sure the precision of weighing. 4.Electronic screen or LCD touch screen for the operation interface. 5.PLC control technique; networking host machine, conveying belt and controlling device easy the operation and reduce the labor intensity. 6.Weighing control system is designed based on the standard of IP54, waterproof and dust proof. 7.Made of all stainless steel. This packing unit has automatic weighting-packing machine, conveying device, sealing machine and appending machine involved. And it is featured by reasonable structure, accurate weighing, easy operation and elegant design. 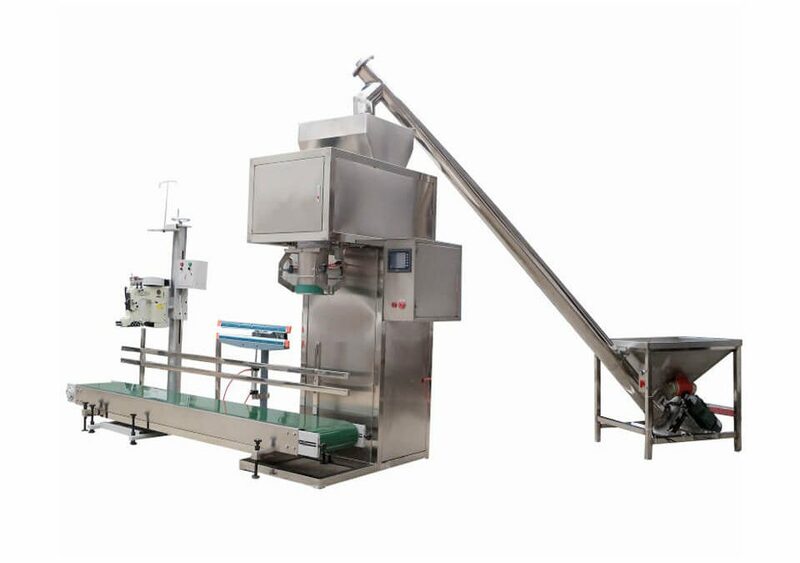 This bagging unit is mainly used in quantitative packaging for granule, granule-powder, strip, block, shred materials, such as leisure food, sugar block, sunflower seed, peanut, dried fruit, salt, aginomoto, chicken essence, seed, grain, herbs decoction piece, herbs granule, washing powder, animal feed, fertilizer, and small hardware.